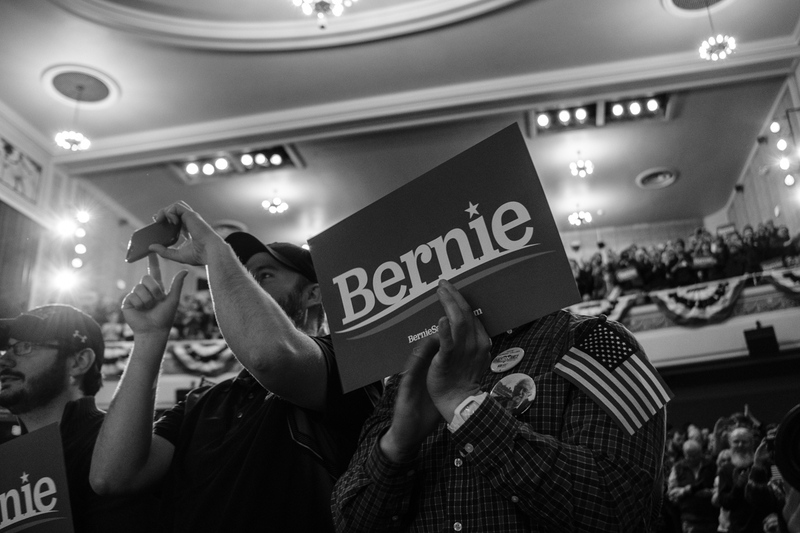 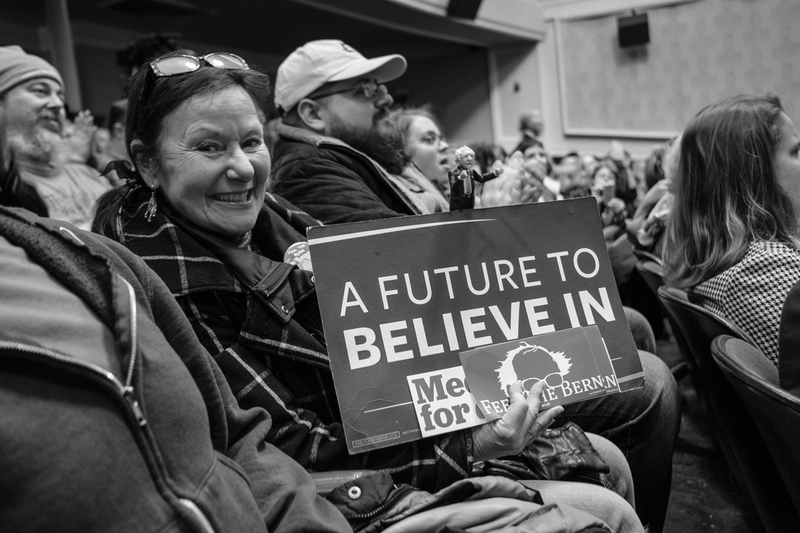 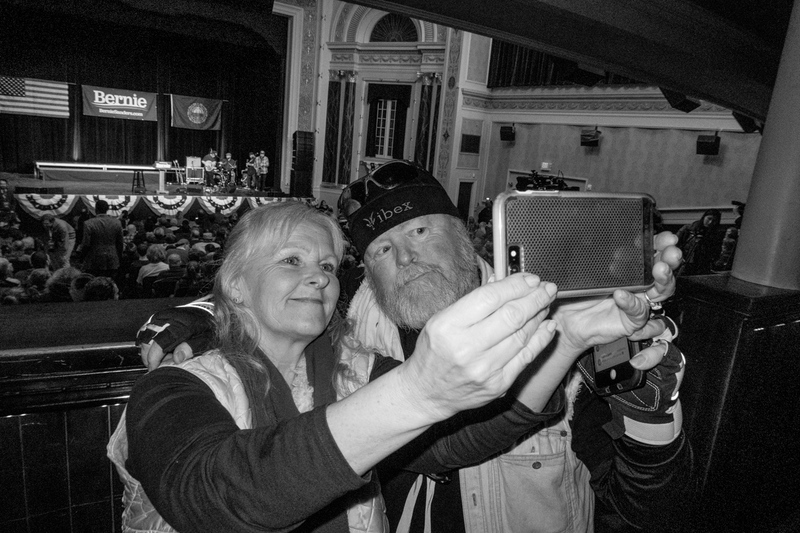 Gail Szafir of Troy, N.H., holds a Bernie Sanders campaign sign and action figure while waiting for Sanders to speak at a rally at the Colonial Theatre in Keene, N.H.
Shelly Scott of Jacksonville, Vt., and Ken Holden of Wardsboro, Vt., make a selfie at the Bernie Sanders rally. 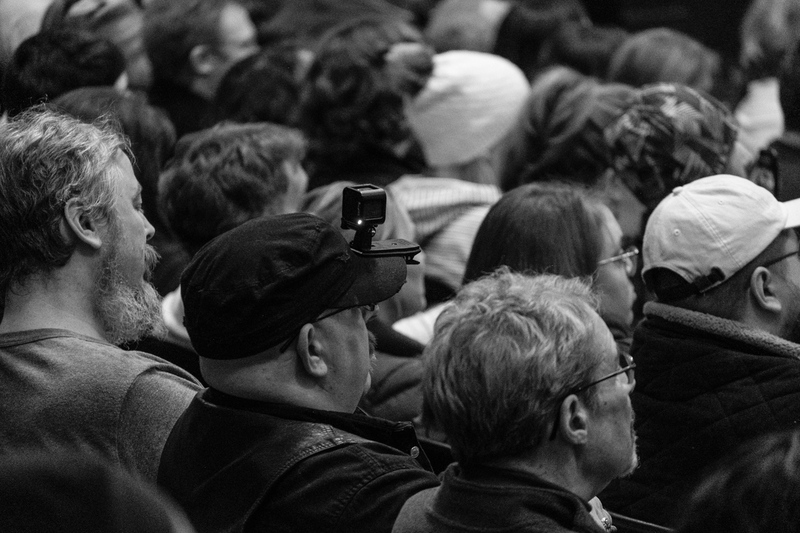 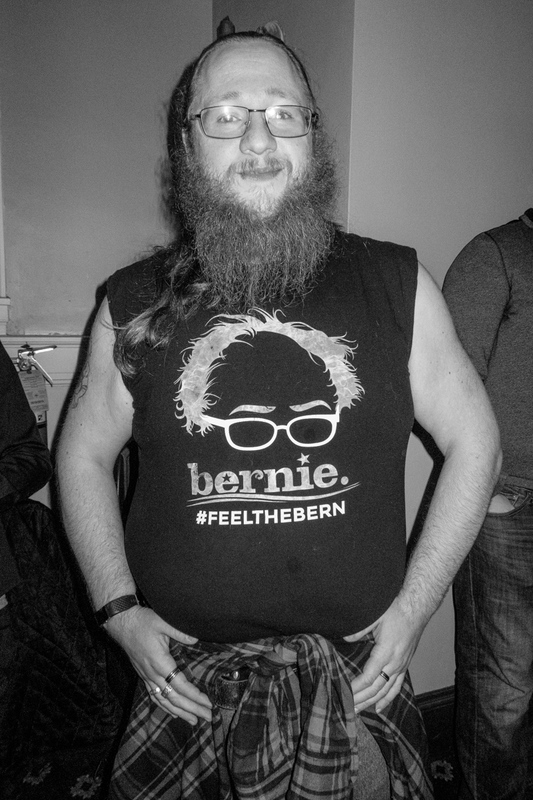 Will Harris of Saxtons River, Vt., proudly wears a #FEELTHEBERN shirt at the Bernie Sanders rally at the Colonial Theatre in Keene, N.H.
A man records Sanders speaking on stage with a Go-Pro camera attached to the brim of his hat. 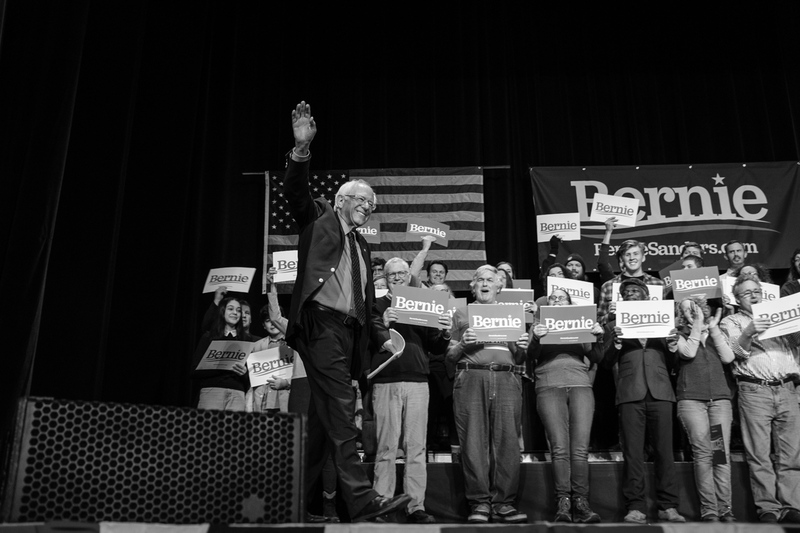 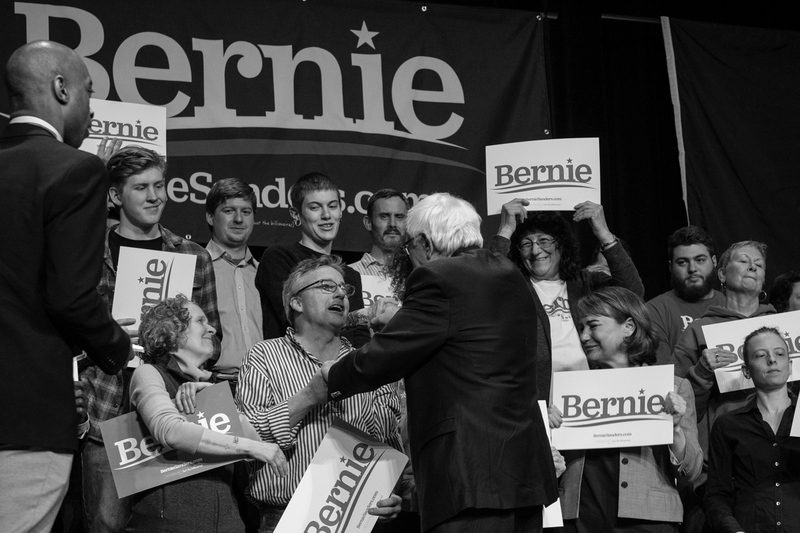 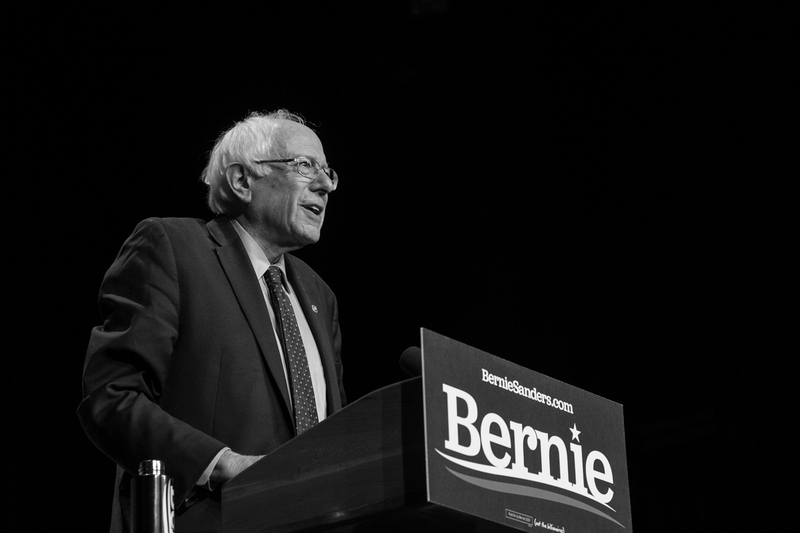 U.S. Sen. Bernie Sanders, I-Vt., speaks to a full house of supporters at The Colonial Theatre during his first stop in Keene, NH, of his 2020 presidential campaign. 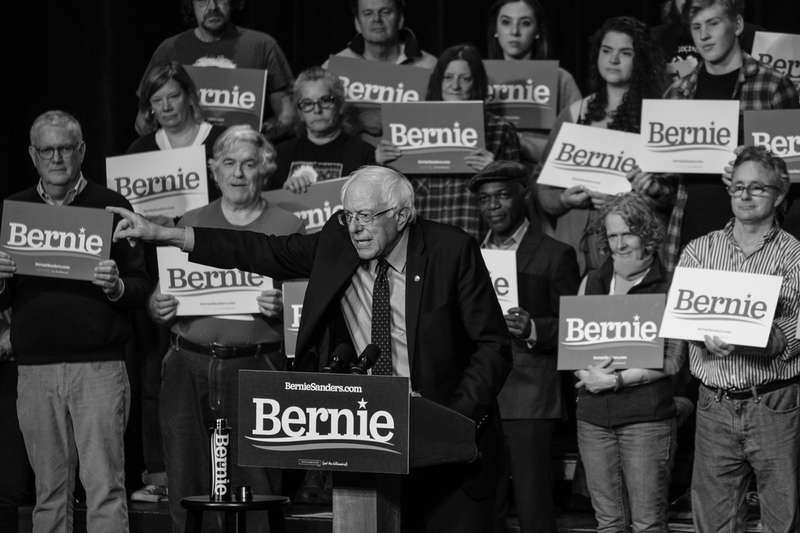 March 10, 2019.